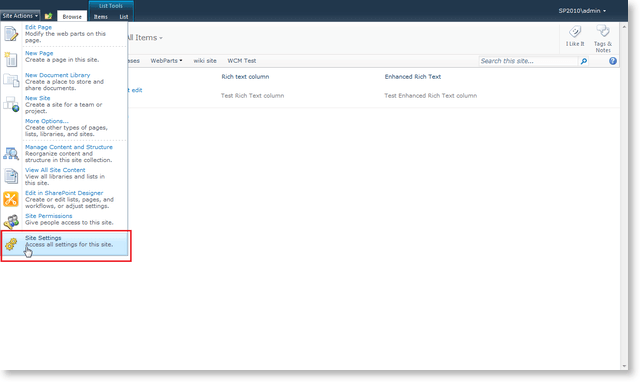 Most of the Office SharePoint Server features are represented as lists. For example, Blogs, announcements, etc. You can easily replace the editor in these cases with the RadEditor. 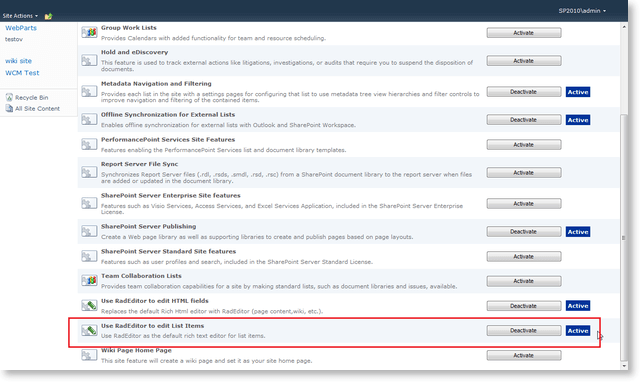 NOTE: Once the RadEditor for SharePoint 2010 features are activated they will affect only the current site. 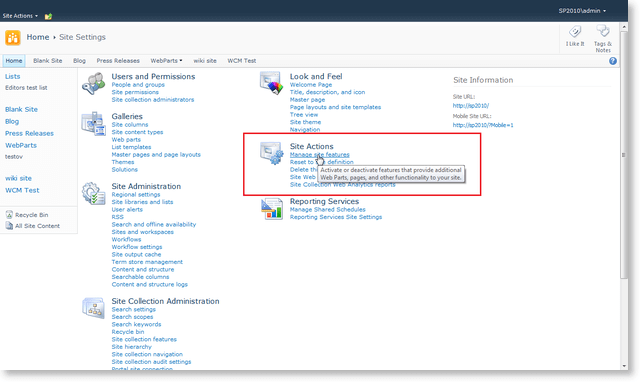 You need to activate the RadEditor features for each site individually. If you want to change the scope of the features, see the following article - Change the RadEditor features scope. Scroll to the bottom of the list and activate the Use RadEditor to edit List Items feature. IMPORTANT! If you still see the default editor or a simple textbox after you activate the RadEditor feature(s), you might need to open a command prompt window and type iisreset to reset the Internet Information Server. This will prevent problems caused by caching. 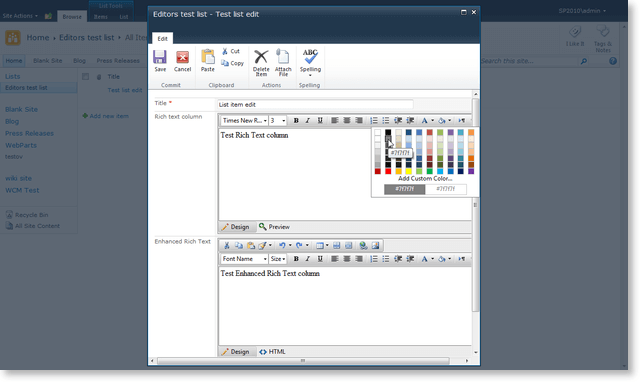 RadEditor used to edit a Task description.